Katie is an Athletic Trainer and has been a member of Dr. Chalmers team since July 2017. As defined by the National Athletic Trainer Associate an athletic trainer (AT) is a “highly qualified, multi-skilled health care professional who collaborates with physicians to provide preventative services, emergency care, clinical diagnosis, therapeutic intervention and rehabilitation of injuries and medical conditions”. Katie is also a certified orthopaedic technologist and assists Dr. Chalmers in the operating room. Katie graduated from the University of Utah with a Bachelor of Science degree in athletic training. During her time at the University of Utah she spent two years working with the university football team. She then went on to the University of Alabama and worked as a graduate assistant athletic trainer. During this time Katie served as an AT for Alabama athletics and earned a Master of Arts degree in health studies. After her time in Alabama Katie was hired by Duke University in North Carolina as an assistant athletic trainer for the school’s athletic department. During this time Katie worked with multiple Duke athletic teams. Originally Katie is from rural Nevada. In her free time she enjoys outdoor sports, mentoring college students, knitting and playing with her fluffy dog. Jessica is a Certified Medical Assistant who has been with Dr. Chalmers since August 2016. She completed her certification program from Sussex County Community College in New Jersey in 2009. She grew up in New Jersey and moved to Salt Lake City to continue her education and explore the mountains. Prior to working in Orthopedics, she spent 7 years working in Cardiology. In her free time, she enjoys mountain biking, trail running, rock climbing and exploring the amazing National Parks of Utah. 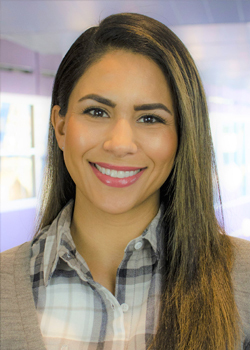 Adriana is a Surgical Coordinator and has been a member of Dr. Chalmers team since September 2018. She has worked in healthcare for over 10 years and has an extensive background as a working professional in sports medicine. 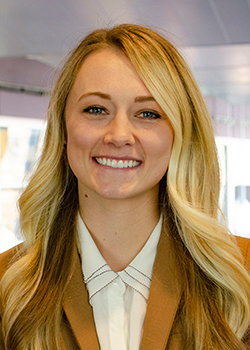 She enjoys interacting with people and strives to meet the needs and expectations of all patients who come to the University of Utah. 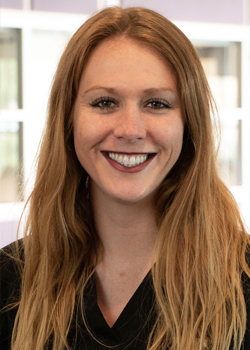 Adriana is originally from the California Bay Area, and recently relocated to Salt Lake City in 2018. She loves the mountains and snow, and in her free time she enjoys outdoor sports, hiking, working out, cheering for her Cali sports teams, and traveling.